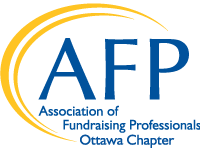 The Association of Fundraising Professionals (AFP) is committed to developing and maintaining a diverse organization that reflects, is responsive to, and embraces the diversity of the communities we serve throughout the world; respecting and valuing all people. AFP is committed to promoting an inclusive, equitable and accessible organization where every member, volunteer, staff and board member can realize their potential and have their contributions valued. Recognizing others as different but equal. Respect and empathy for all. Trust and integrity that facilitates the integration of different and multiple voices in organizational discourse. Demonstrated appreciation for different voices, active listening; open to disparate viewpoints and opinions, and facilitating dialogues among the diverse groups. Practicing and encouraging transparent communication in all interactions. Developing participative decision making; problem solving; and, team capabilities. Exploring potential underlying, unquestioned assumptions that interfere with inclusiveness. AFP Ottawa is proud to be a recipient of the 2017 Friends of Diversity Award.